FIXYOURTHINKING.COM / Need a brain? Borrow mine! : The Costs Of MacWorld Expo? Here is a great article by Paul Kafasis CEO of Rogue Amoeba indicating how much it costs to exhibit at MacWorld Expo. Very detailed. Even if you aren't interested in exhibiting, it's worth the read to see what your favorite Apple Third Party companies pay for. The article is posted as Part I with Part II promised soon. I helped Earthlink in the late 90's at MacWorld New York. I know their costs approached $200k. This was of course when Earthlink was a 56k landline internet partner with Apple. 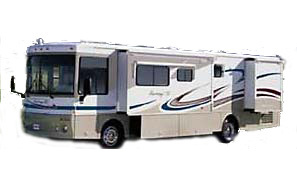 One thing that I can add as a cost saver and unique experience for you and your employees is to travel via a Winnebago ... eat, sleep, and store your stuff for your exhibit in it. I'm not sure if MacWorld would allow a Winnebago on the show floor, but if they do it would make a great booth and allow employees a resting place even during the expo. Plus, a benefit to buying a wrapped Van or Winnebago serves as advertising on your road trip and local advertsising and other exhibition opportunities. You may even be able to get other businesses to help sponsor you by adding their advertising to "your travel". It would be a big upfront cost, but would be a great long term investment in my opinion. One other thing to mention (that I don't see mentioned in the article) is that typically a company doesn't exhibit at MacWorld for the money or even the recognition (as Kafasis indicates) - unless you have an incredibly newsworthy product or service release (like OtherWorld Computing had this year). I would imagine the average company goes for prestige. It's a good opportunity to be recognized amongst your peers and to attend conferences and seminars hosted by Apple (and your peers) and to be a part of the excitement that surrounds MacWorld Expo. 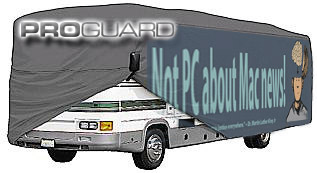 You could even rent an RV and get a custom cover made.